Thyroid dysfunction, particularly high levels of FT4, was associated with an increased risk for sudden cardiac death (SCD), according to a new study. After an average follow-up period of about 9 years, high levels of FT4 were linked with both a higher relative and absolute risk of SCD. A higher risk of SCD was also identified even in participants whose FT4 levels were at the high end of normal. Overall, participants whose FT4 levels at the top of the normal range had approximately a 2.5 times greater mortality rate due to SCD, compared to those at the low end of the normal range. “Our study findings suggest that persons with higher thyroid hormone levels, even within what we consider the normal range of thyroid function, have a four-fold increased risk of sudden cardiac death compared to persons with lower thyroid hormone levels,” said study authors. "Our hypothesis was that thyroid hormone levels could increase the risk of sudden cardiac death by changing levels of cardiovascular risk factors such as blood pressure. We were surprised to see that when we control our analyses for these cardiovascular risk factors, the association remained similar, suggesting that other pathways could play a role." It’s important to consider use of thyroid hormone replacement therapy in regards to SCD risk particularly for individuals with thyroid function levels at the top range for normal levels. 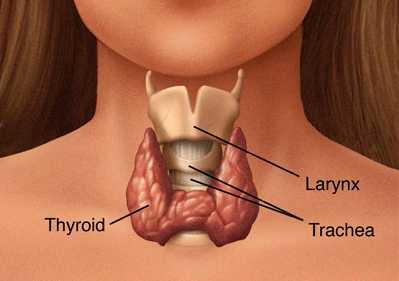 We know that a substantial proportion of these patients is overtreated, where thyroid hormone levels are high-normal to high. In these individuals, the thyroid hormone levels are modifiable by decreasing the dose of therapy and thereby perhaps decreasing sudden cardiac death risk.